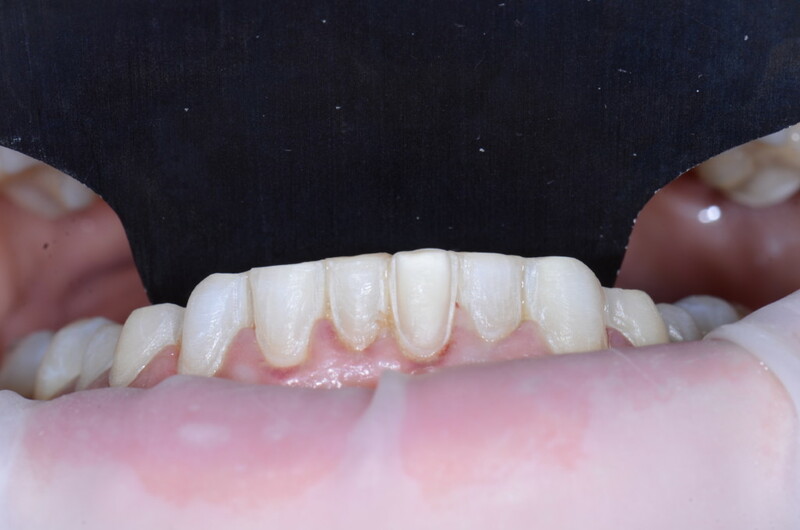 So you’ve decided on an approach to restoring anterior teeth that falls somewhere on the spectrum between minimal and aggressive. You’ve even gone so far as to properly treatment plan the tooth preparation. What comes next? There are two common alterations you should consider when moving forward with a tooth preparation. We may want to change the rotation or AP position of teeth in the arch. We don’t want to create unnatural tooth proportions. We don’t want unnatural tooth proportions to cause gingival issues or discomfort for the patient. We need to consider the impact on pulpal tissue. We want to preserve the structural integrity of the tooth after prep. That last one is the real clincher. Repositioning teeth in the final wax up can either lead to more or less reduction. Luckily, we can utilize a wax-up and mock-up as useful tools for guiding preservation. Biggest challenge: Seating the matrix. Use a copyplast matrix to reduce the necessary tooth surfaces until you can seat the matrix completely. Have the ceramist prepare and mark a model of the teeth that you can follow. We may want to alter tooth contour and reshape the teeth. Open gingival embrasures is a common contour change that adds to the esthetic outcomes of the case. You need to plan ahead for it. Give the ceramist plenty of running room to create the proper emergence profile from the margin. Place the margin of the preparation as far sub-gingival as possible without violating the biology and to the lingual side of the contact to allow the space to be closed in porcelain. Have any thoughts on implementing Dr. Brady’s suggestions? Let us know in the comments!